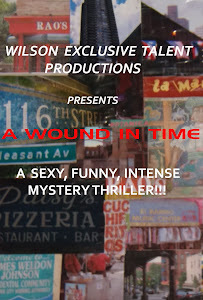 A WOUND IN TIME: FILM! BUT WHERE ARE THE LABS? It was not hard to be convinced by my Cinematographer to shoot, in the ever disappearing film medium, for the sake of artistic value. For I am TOTALLY about creating a film that tells the story in an artistic way... A film that is remembered by its capture of textures, shadows, depth, and beauty. Film provides the freedom for the camera to tell the story in a multitude of ways... Unfortunately, my research is showing the demise of film labs in the area. We may have to resort to the cheaper, and simpler digital medium... It will still be a memorable with with its complex characters, and intense story, and with the artistic genius of the DP it will still be beautiful to see.